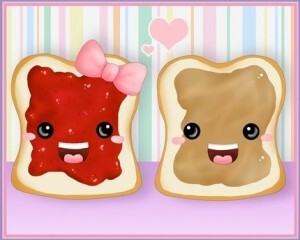 Peanut Butter and Jelly. Burt and Ernie. Sports Chiropractic and CrossFit….some things were just meant to be together. CrossFit athletes push their bodies every WOD…striving to perform better, get that next PR and reap the physical benefits. It’s not just “fitness” or “working out”…CrossFit is a way of life. We get that. That’s why we are excited to be opening a new location in Lake Wylie, SC inside of CrossFit Lake Wylie. As we get to know this vibrant and active community, we look forward to getting involved both with the CrossFit Lake Wylie membership and the greater Lake Wylie community. Southeast Sports & Rehabilitation has been serving athletes and weekend warriors for the past three years in our flagship location in Spartanburg. We don’t just call ourselves “sports docs”…we have the experience and the creds to back it up; having served as the team physicians at professional, collegiate and amateur levels. We offer a full menu of sports medicine services including: examination and diagnosis of neuro-musculoskeletal injuries, therapeutic massage, sports chiropractic care, kinesiology taping (RockTape), functional movement assessments and myofascial release—we are NOT your average chiropractic office. Our mission is simple—to break the “chiropractic” mold by focusing on delivering results quickly, efficiently and affordably so that you can get back to doing the things you love (not limited to, but including lifting heavy weights like a boss). We anticipate opening on Tuesday, April 1. In the meantime, we will be in and out preparing the space and moving in. For those of you in the Lake Wylie area, stop by and say hello anytime—we look forwarding to meeting you all!